Su Naseby offers an holistic approach to therapy with an emphasis on creativity, sacredness and human spirit-uality. In her practice, as in her life, Su draws inspiration and guidance from her life experience as well as her interests in community, nature, art, dance movement and her sense of the Divine. "My spiritual inspirations surround me, from the everyday to the unique and unexpected, all aspects of life offer me a sacred connection." Since 2001 Su has been an active member of, what can loosely be described as, the Sydney alternative spirituality community. Together with some inspirational friends she has presented a wide range of workshops and retreats on subjects such as Dance Movement, Shamanism, Women's Mysteries and Aboriginal Spirituality. Su studied for her graduate diploma in Counselling and Psychotherapy at Jansen Newman Institute. 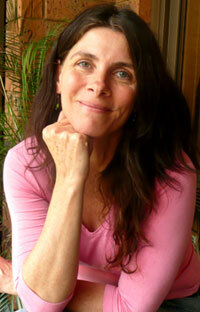 Su has also trained in Logo Therapy, Imago Couples Therapy and ACT Mindfully. She is a mother, an artist, a lover of nature. She is also passionate about being part of and supporting the local community. "Wherever I am I look for my connection to nature. When I travel I need to know the local flora and fauna, particularly the birds. My sense of the sacred in nature connects me with the essence of the Divine in all things."